We understand that building a High Ropes Course on your property is a significant investment. With this in mind, our High Ropes Construction team works closely with you to build a course that fits your organization’s needs with minimal maintenance costs and maximum lifespan. Our years of experience as facilitators provide us with the insight required to build High Ropes Courses that are easy to facilitate while providing appropriate challenge levels for a wide range of participants. 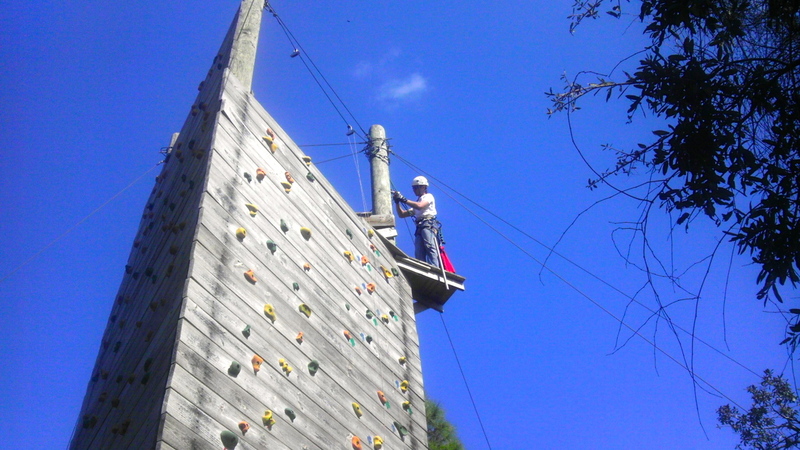 The Association for Challenge Course Technology, or ACCT, provides a set of standards for safe High Ropes construction. As a professional member of the ACCT, Common Ground Adventures always builds to the very latest standards. We also keep an eye on industry trends to create future-proof courses at the highest standard of safety and durability. Each organization will benefit from a different set of elements depending on their clientele and mission. Traditional elements like Zip Lines, Climbing Walls, and Vertical Playpens are easily recognizable and highly enjoyable. We also build more unique elements such as Duo Dangles, Tension Traverses, and Leaps of Faith. For a listing of our most common elements, please visit our High Ropes Elements page. If you have an idea for a new element or you would like us design something specifically for your organization, contact us via the form on the right. If it can be done safely, we’ll build it. The time required for construction varies depending on the number and type of elements that you would like installed. The construction time for a High Ropes Course is typically around a week. In order to ensure that your course is built at the lowest price, we will work with your organization to find all possible cost savings such as partnering with a local utility company for utility pole installation. Our job doesn’t end once your course is built. Although a well-built course is very important to a successful High Ropes program, we believe that well trained staff are by far the most important aspect. We provide a variety of options to help you get your course up and running. We can purchase all necessary hardware, develop a program specifically for your organization and course, and provide the training that your staff will need to safely operate your new High Ropes Course. 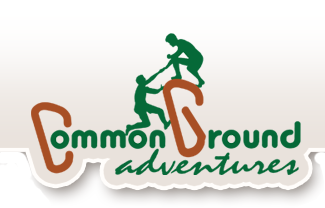 Alternatively, Common Ground Adventures can provide trained facilitators to operate the course for your organization. Visit Why Build A High Ropes Course? for more information on the benefits of a High Ropes Course. Our High Ropes Course Design page contains information on how we help you create the perfect High Ropes Course for your organization.